Hugh Johnson’s wine book “A Life Uncorked” is like a French country road; twisting and meandering towards the horizon with little thought for efficiency or expediency, but rather focused on the environment; the people, places, and of course gastronomy found along the way. These pages are a collection of memories pegged to the writer’s experiences with the wine world; its vintages, vineyards, and personalities. Mr. Johnson treats bottles of wine as one would a distinctive piece of music or particularly pleasing fragrance; as a catalyst for a journey down memory lane. Each chapter is a story about his life as it relates to a specific wine type or vineyard location and is subsequently informative and entertaining. The real pleasure in this wine book is the personality of the author which shines through so clearly one could almost imagine him across the table twirling a claret in the late afternoon sunshine. His passion for the subject is clearly felt in the personal way he speaks about his life; with careful attention to detail and with little regard for how others may perceive his whims. He speaks beautifully about the subject and evades the pretentiousness found in other writer’s name dropping and high handed language. This is clearly someone who wants everyone to experience the joy he does with each swallow. 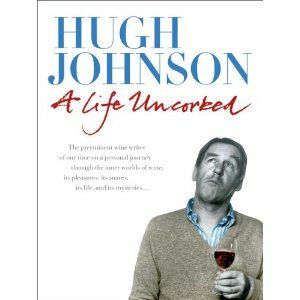 Hugh Jonson’s “A Life Uncorked” is a refreshing take on the world of wine for those with the time to take a long winding trip down memory lane.